This weekend, La Scala will be present at The Garden Tour in 2 of the 16 locations with the goal of showing you what is possible from a modern outdoor audio system. 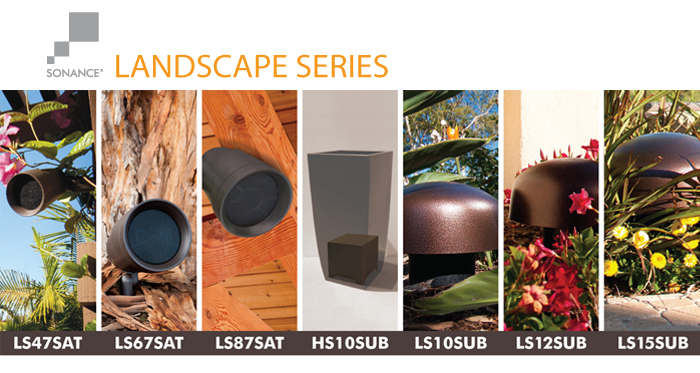 The Sonance Landscape Series uses strategically placed “satellite” speakers that are hidden within garden beds or amongst the foliage of trees. A subwoofer enclosure is then buried under ground or within shrubs, with just an earth-colored hood dispersing sound perfectly. It’s all about blending discreetly into the surroundings. Summer is nearly upon us and so it is time once again to get outside and enjoy the beautiful weather. Many of you have invested heavily in your gardens, whether it was with blood, sweat and tears pruning the flora or perhaps you took a more laid back approach and had someone else do the dirty work. 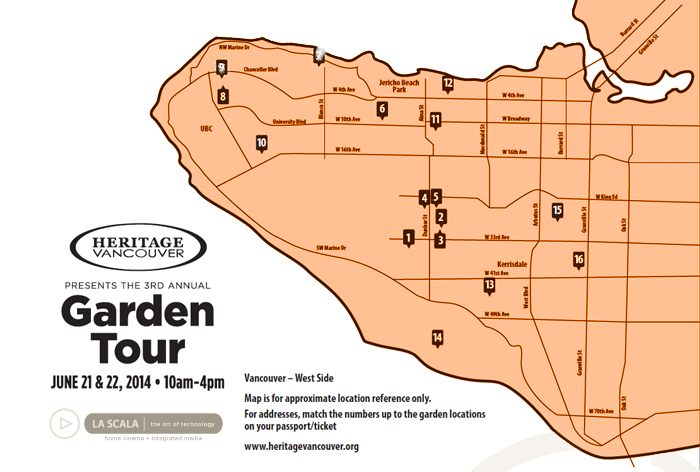 This weekend, La Scala wants to further inspire your love for getting outdoors and give you an opportunity to see what others have managed to achieve in their own gardens and what better way to do this than to walk 16 privately owned gardens as part of the Heritage Vancouver Society Garden Tour. The Garden Tour, now in its 3rd year, has an eclectic selection of gardens, ranging from grand park-like estates to tiny townhouse gardens showing creative use of small space. There is a garden for all tastes on show including a hidden English cottage garden with Kai pond, a stunning contemporary house and garden, a garden created with salvaged materials and gardens that include fruit and vegetable patches…which one will be your favourite? The event runs from June 21 to June 22. 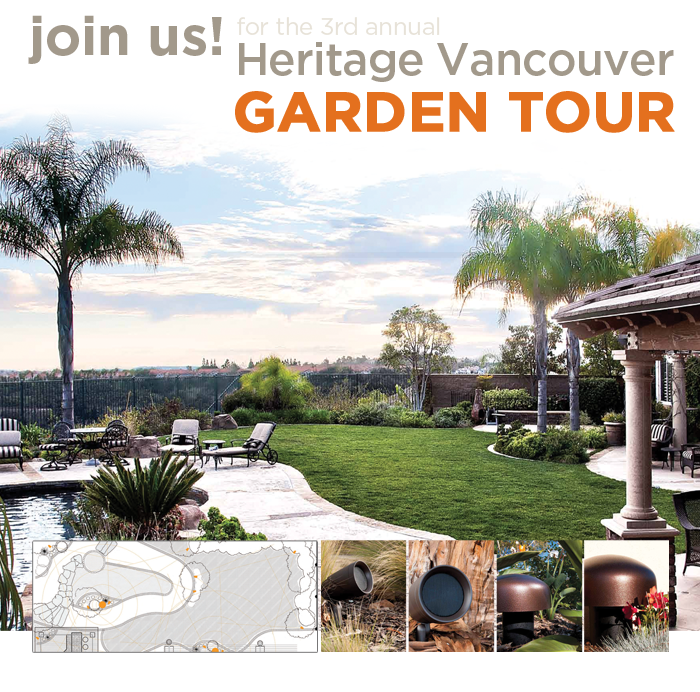 La Scala will be present at The Garden Tour in 2 of the 16 locations with the goal of showing you what is possible from a modern outdoor audio system. Each of the “La Scala” gardens will be discreetly equipped with a Sonance Landscape System, a system capable of producing jaw dropping audio quality without upsetting the aesthetic or balance of your outdoor space. Traditional outdoor audio setups rely on a pair of weather proof speakers installed on the back wall of your house or “rock” speakers attempting to hide in your planter beds. The problem with these systems is that they look awful on the wall and they tend to produce poor sound – too loud for those near the speakers and not loud enough for anyone further away. They also allow your neighbours enjoy (or not at all enjoy) your music selection. Sonance Landscape System utilizes multiple discrete speakers and a below-ground subwoofer to produce amazing results, that are perfectly even and balanced no matter what part of your garden you are enjoying your cocktail in. The system also focuses the sound away from neighbouring properties, helping you maintain better relations with those next door. SLS is an infinitely expandable and customize-able system, allowing La Scala to do an outdoor audio design that is perfect for your home and we think there is no place better for you to hear the system before making your purchase. Let La Scala come to your home and setup a Sonance Landscape Series Demonstration in your very own garden free of charge and with no obligation. Setup takes just minutes and we know you will be amazed at how good your own garden can sound.